Jewish groups welcome EU's decision to keep Hamas on terror list, express hope that authorities will clamp down on Hamas supporters. The European Court of Justice (ECJ) ruled Wednesday ruled that the Hamas organization should be left on the European Union's (EU) list of terror organizations. The EU's list of terror organizations ensures the affected groups' funds stay frozen, limits the movements of Hamas affiliates, and prohibits the business from openly doing business in the EU. Welcoming the decision the European Jewish Congress (EJC) praised ECJ's decision. "This ruling is an important political message for the fight against international terror, which knows no difference between countries and peoples, and strikes in the hearts of European countries as well as commonly in Israel," EJC President Dr. Moshe Kantor said. "It also sends a clear message that those who oppose peace in the Middle East by acts of murder and terror have no place within the European Union. "Hamas is a part of an international terror network and has murdered countless people. One just needs to look at Art. 7 of their charter to know their proudly stated genocidal aspiration to the mass murder of Jews all over the world." 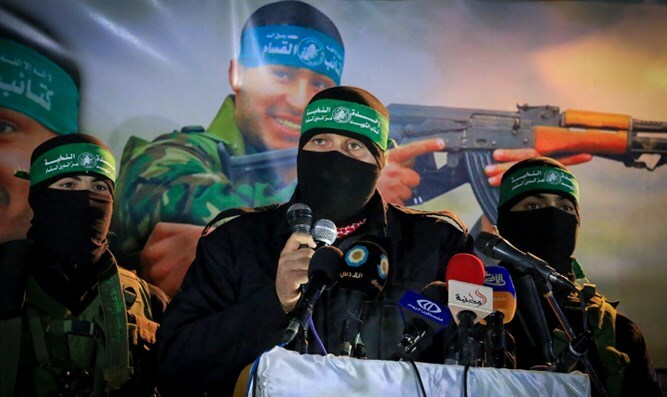 Meanwhile, Jewish Leadership Council (JLC) Chief Executive Simon Johnson said, "Hamas’s track record as a terrorist organization is without question and the European Court of Justice’s decision is welcome and proper." "As a society, we should not tolerate any organization who has within its charter a pledge to wipe out Jews or any other race. "We hope that this decision will make a practical difference, that relevant authorities will now clamp down on any displays of support for Hamas and that those apologists for Hamas take careful note of this decision. When we exit the European Union, it is important that the EU’s full proscription of Hamas is adopted by the UK." Although the US lists Hamas as a terror organization, the EU has received much criticism for doing the same. The European Court of Justice’s (ECJ) ruling came after an EU appeal of the 2014 ruling by a lower EU court to remove Hamas from its list of terrorist groups. The ECJ has ruled that Hamas should remain in the EU terror list, overruling the General Court's decision view of 2014 that the 28-nation bloc had insufficient evidence to maintain asset freezes and travel bans on Hamas. In September 2016, ECJ Advocate-General Eleanor Sharpston said EU governments should independently present evidence on attacks perpetrated by the groups, and that information from outside countries such as the US is not sufficient.